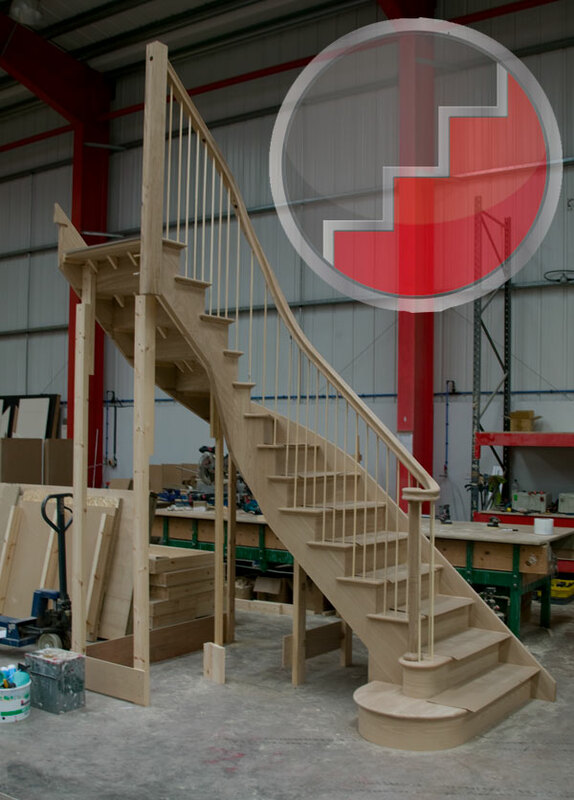 Below you can see some photos of a recent staircase we have produced with a Curved face stair string and wreathed handrail to the face side. The string is a Cut String complete with nosing returns and s mitred riser detail, the entry step is a Triple Going curtail step with a single going curtail to the second step. The handrail detail at the entry is a Ascending volute detail. The handrail profile is Stairplan's STHR Select oak handrail. 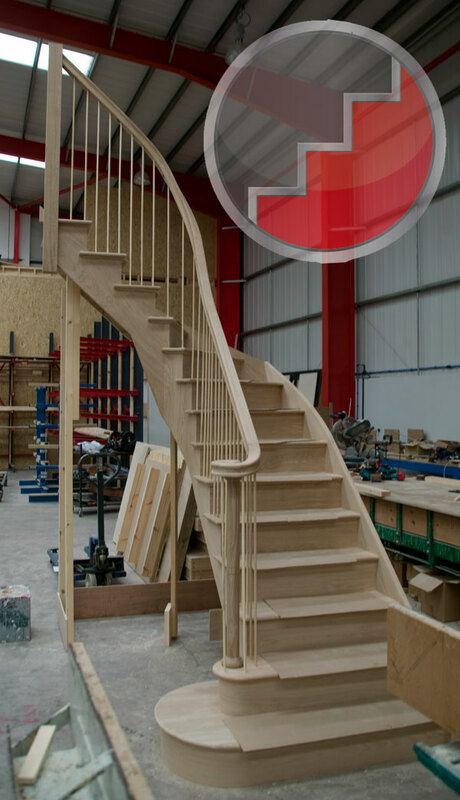 Stairplan only use the highest grades of Oak available, the grades of Oak we use are not readily available to general joinery manufacturers and it is only due to our volume buying that we have currently secured a regular supply for the quality and sections we require to produce Oak staircases consistently to the highest standards available in the UK market. 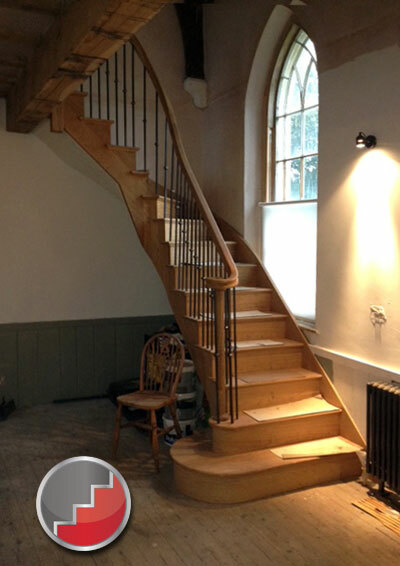 This staircase is shown with temporary wooden dowels in place of the spindles the Staircase is having bespoke metal balusters. 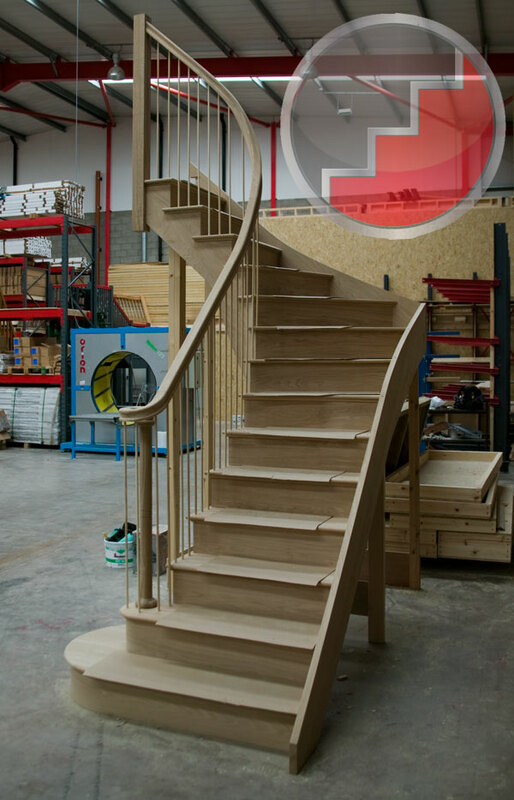 At Stairplan we produce our own Wreathed Handrails in house using the latest in Staircase production software and 5 Axis CNC Technology. 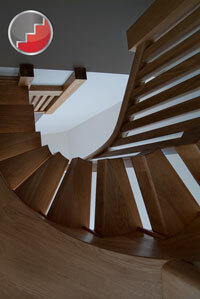 Stairplan produce a full range of quality wooden staircases. 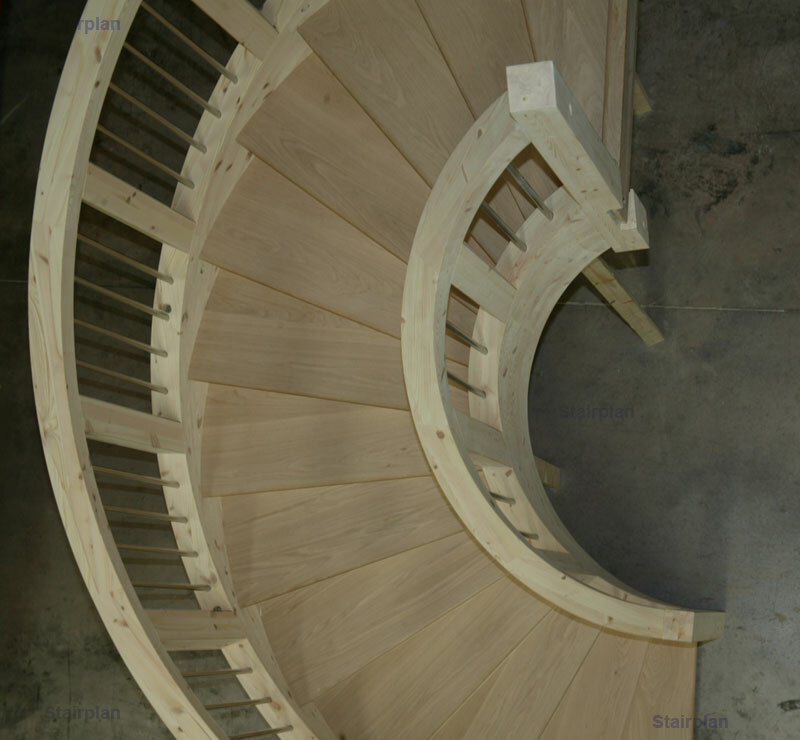 Take a look at the Stairplan C Staircase , this contemporary curved staircase has Oak Stair treads and risers , the Engineered Pine stair strings and wreathed handrails were painted white.